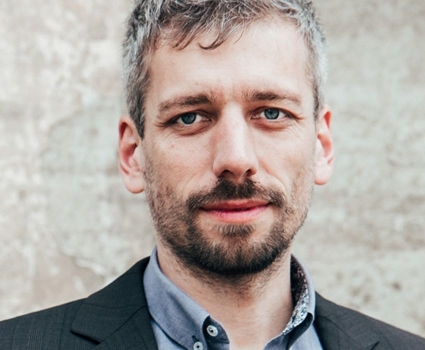 Till Nagel was a postdoctoral research fellow at the Urban Complexity Lab, FH Potsdam. His research interests are in geovisualization, urban data, and interaction design, with a focus on how to engage general audiences with interactive displays of spatiotemporal data. Is the bus late? Or did I miss it? One of the main characteristics of cities is the large amount of people moving around. These flows are reflected in all the subways dashing through the city. With our work we strive to give an impression of this pulse of the city. We present Shanghai Metro Flow, consisting of an animated visualization composed of three scenes, each giving another perspective into the metro network, and an accompanying poster showing subway line details. Each visualization combines established techniques with a highly aesthetic form in order to attract people to observe and dwell on different aspects of urban mobility. In this paper, we present three case studies on visualizing spatiotemporal data on interactive tabletops and surfaces for casual use. While there is a growing interest among citizens to make sense of their social community and urban environment, most existing geovisualization tools have been designed for experts such as planners and analysts. We introduce situation-specific visualization systems that were particularly designed for public exhibitions to balance powerful data exploration methods with inviting accessibility for laypeople. Finally, we discuss some of the lessons learned regarding people’s interest, interaction conventions, and information aesthetics. 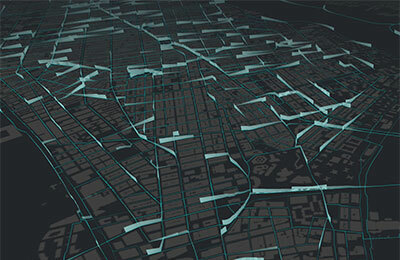 Shifted Maps proposes a novel visualization method to generate personal geovisualizations of individual movement data. 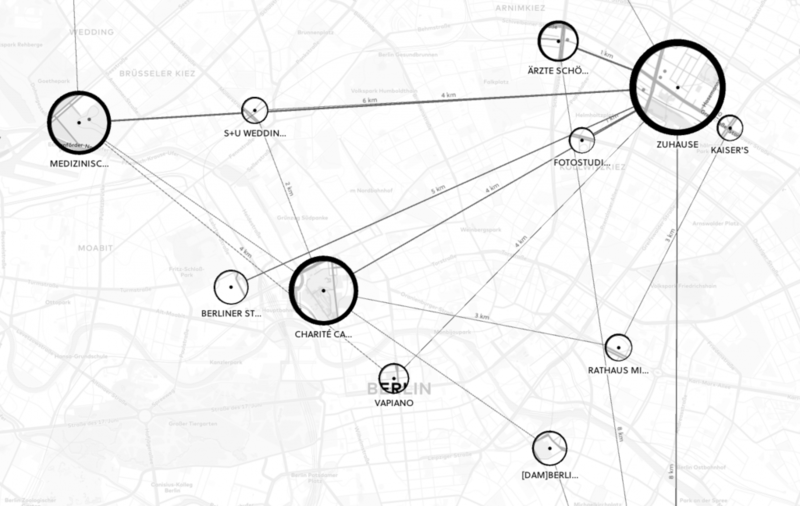 The resulting visual appearance can be characterized as a map network consisting of visited places and their connections. The visited places are shown as circular map extracts scaled according to the time spent there and the movements between the places are represented as edges between the places. A key feature of the Shifted Maps visualization is the possibility to explore the data in three different arrangements based on geo-spatial position, travel time, and frequency of movements. By combining map and network visualizations of movement data, it becomes possible to analyze and compare spatial and temporal topologies. Traffic incidents such as road accidents and vehicle breakdowns are a major source of travel uncertainty and delay, but the mechanism by which they cause heavy traffic is not fully understood. Traffic management controllers are tasked with routing repair and clean up crews to clear the incident and often have to do so under time pressure and with imperfect information. To aid their decision making and help them understand how past incidents affected traffic, we propose Traffic Origins, a simple method to visualize the impact road incidents have on congestion. Just before a traffic incident occurs, we mark the incident location with an expanding circle to uncover the underlying traffic flow map and when it ends, the circle recedes. This not only directs attention to upcoming events, but also allows us to observe the impact traffic incidents have on vehicle flow in the immediate vicinity and the cascading effect multiple incidents can have on a road network. We illustrate this technique using road incident and traffic flow data from Singapore. Isochrone maps are an established method to depict areas of equal travel time, and have been used in transportation planning since the early 20th century. In recent years, interactive isochrone maps allowed users to select areas of interest, or explore temporal mobility patterns for different modes of transport. 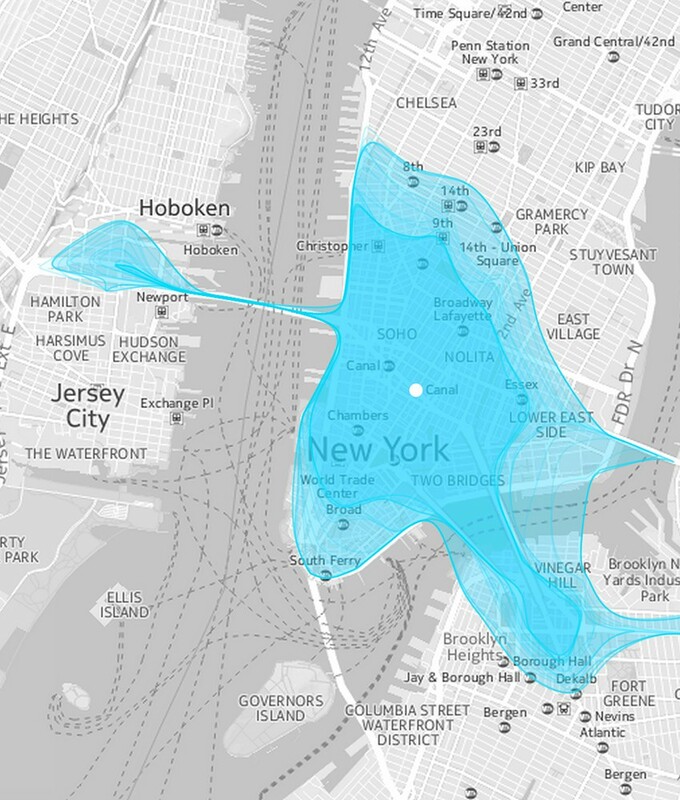 However, conventional isochrone maps depict one traffic situation at a time. Our visualization approach unifies isochrone maps with time-varying travel data, and instead of showing multiple isolines for different travel times, we show multiple isolines for different times of day in order to reveal time-dependent spatial travel variance. In this paper, we present Isoscope, a web application that provides an interactive map for casual exploration of urban mobility patterns. Through its aesthetic visual form and its simple interface we strive to support people casually investigating travel time in their own city. We will describe our design goals, elaborate on the design and implementation of our prototype, and discuss limitations and future extensions of the system. Due to recent technical developments, urban systems generate large and complex data sets. While visualizations have been used to make these accessible, often they are tailored to one specific group of users, typically the public or expert users. 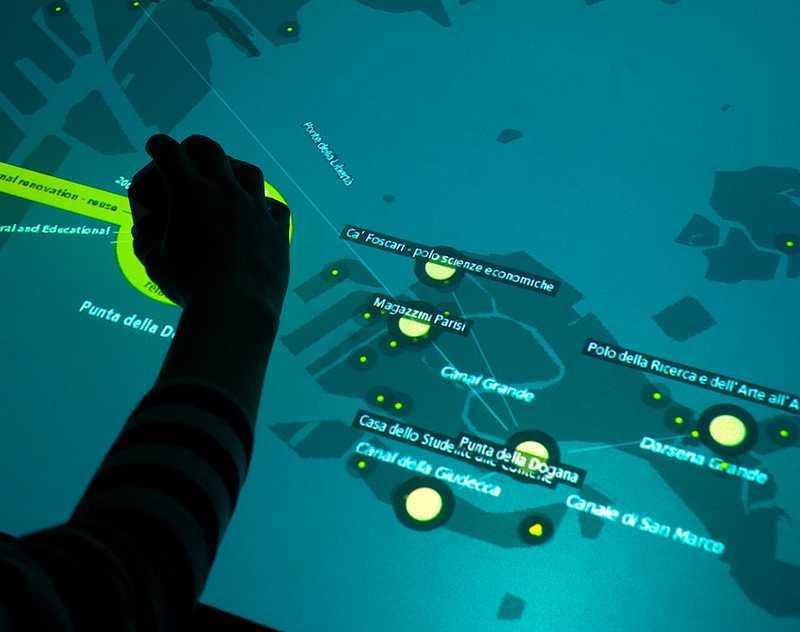 We present Touching Transport, an application that allows a diverse group of users to visually explore public transit data on a multi-touch tabletop. It provides multiple perspectives of the data and consists of three visualization modes conveying tempo-spatial patterns as map, time-series, and arc view. We exhibited our system publicly, and evaluated it in a lab study with three distinct user groups: citizens with knowledge of the local environment, experts in the domain of public transport, and non-experts with neither local nor domain knowledge. Our observations and evaluation results show we achieved our goals of both attracting visitors to explore the data while enabling gathering insights for both citizens and experts. We discuss the design considerations in developing our system, and describe our lessons learned in designing engaging tabletop visualizations. Surveys are a common way of providing an overview over a family of visualization techniques. In this poster we focused on arc diagrams, which are an established method to visualize relations between nodes in a simple path graph, and are laid out in one dimension. We collected a wide range of examples of arc diagrams with different characteristics. Following Jurgensmann and Schulz’s poster on tree visualizations we present our collection as a visual survey. As a result, our poster acts as visual reference and as inspirational source. Many thematic maps and geovisualizations nowadays are being created by designers, journalists, and other non cartographers. Yet, with existing tools it is often difficult to create interactive data visualizations tailored for a particular domain or a specific dataset. We present Unfolding, a library to simplify the creation of interactive maps and geovisualizations. Unfolding provides an API to quickly create and customize visualization applications. In this paper, we introduce the design and functionality of our library. We demonstrate its usability through a collection of examples, and confirm the apparent need of such map library by describing its acceptance in the community.